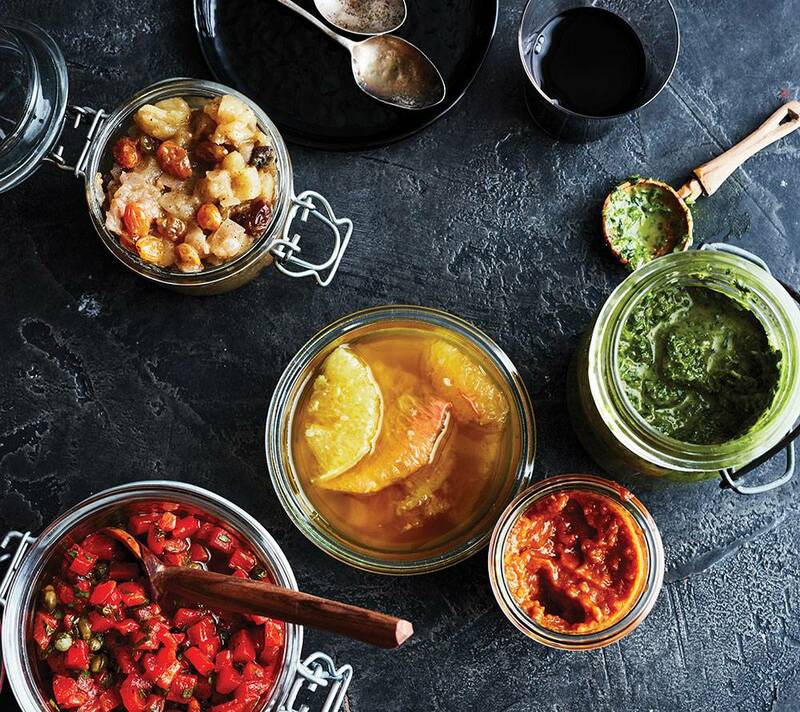 Once classified as preserves—namely ketchup, mustard, mayonnaise and relish—condiments have evolved to represent any assertive flavoring, such as sauce, dip or even a spice mixture. By definition, these additions usher us into a world of exaggerated, well-punctuated flavors. They can be rich, sweet, spicy, salty, sour, bitter, umami or even a combination. Some of the best condiments impart at least three such qualities. They enhance what’s eaten by altering and improving its texture and or appearance. Such bold ingredients also stand up to, mirror and support the exciting range of flavors and aromas created by the terpenes found in cannabis and other plants. You can infuse any savory condiment with flower. The right weed-infused condiment does much to entice your appetite and enhance the meal, tying a figurative bow around whatever graces the plate. Whether it provides balance, unction or sharp contrast, it should always demonstrate a kinship with the dish’s other elements. Condiments are also noble companions for most leftovers. They resuscitate them and infuse them with fresh energy. After all, working your way through the Thanksgiving turkey that you basted with the attentiveness of a new mother should never feel like a chore. A smear of apple chutney or cranberry sauce brings that fully loaded sandwich of turkey breast, gravy and stuffing a particular glory. The arsenal of flavors that beckons from the cupboards—the brackish capers and anchovies, robust tomato paste, fiery dried chilies, musky cumin, savory fish sauce and punchy whole grain mustard—beg to play some role in how we anoint our treasured foods. Unless you’re having a large dinner party, where everyone is partaking, it doesn’t make sense to medicate a whole rib roast or a holiday bird. Besides, what if you want another slice but are happy with your high? For those who medicate with health and dietary concerns, making one’s own special sauce, with less fat or sugar—or just keeping it free of preservatives and additives—is always an option. And if you want to go under the radar with dosing? A few surreptitious spoonfuls of medicated sauce added to your personal serving of spiral ham not only prevents you from accidentally dosing Mom, it also ensures that you’ll be able to effectively manage the strength of that dose. Give some of these medicated recipes a spin—experiment with the different flavors and uses of these condiments. For the recipes, purchase the Winter issue on sale now in our shop.